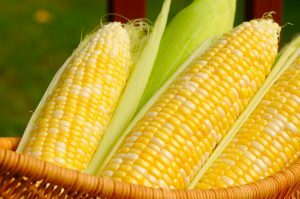 The 38th Annual Corn Feed will be Wednesday, August 9, 2017 from 4:30 P.M. to 7:00 P.M. in the Lower Level of the El Zagal Shrine. In addition to the mouth-watering corn, we will be serving hot dogs, baked beans, potato salad, lemonade, and other cold refreshments. Hosting the Corn Feed will be Shiloh #1, East Gate #120, Sunrise #130, Daylight #135, and Mecca Chapter #5 Order of Eastern Star. This annual event is our major fundraiser and your participation is needed to make it a successful event. We ask that you purchase eight tickets for your own use to sell to family and friends. The price of each Adult Ticket is $10.00, Children age 12 and under, $5.00 each. The Corn Feed profits will be used to update and maintain the Masonic Center. Please send your remittance to the Lodge office at 1405 Third Street North, Fargo, ND 58102 or turn it in at the door the evening of the Corn Feed to assure a successful event. All checks should be made out to the Masonic Promo Fund. We also are in need of volunteers to shuck corn, which will begin at Noon, followed with the setting up of tables. Additional help is needed to cook hot dogs, take tickets and clean tables. We are asking for an hour or two of your time. This year our corn will be coming from our original supplier which is guaranteed to be the mouthwatering corn we have had in the past! We look forward to seeing you all. Thank you for your commitment.